Roger's accurate early depictions of the historic Auckland waterfront and Waitemata Harbour are recreated in exquisite detail. Roger Morris was born in 1935 in Maidenhead, Thames Valley in England. His father was a commercial artist while his mother painted portraits. Living on the banks of the Thames, Roger developed an enthusiasm for maritime subjects. During World War II he attended various schools and completed his college education at Bembridge, a public school in the Isle of Wight and at Thames Nautical Training College. Roger is an esteemed maritime historian and has illustrated and published several books on his chosen subject. He is represented in the Auckland Maritime Museum collection. He also exhibits regularly in Mystic Connecticut - a town renown for its maritime associations. 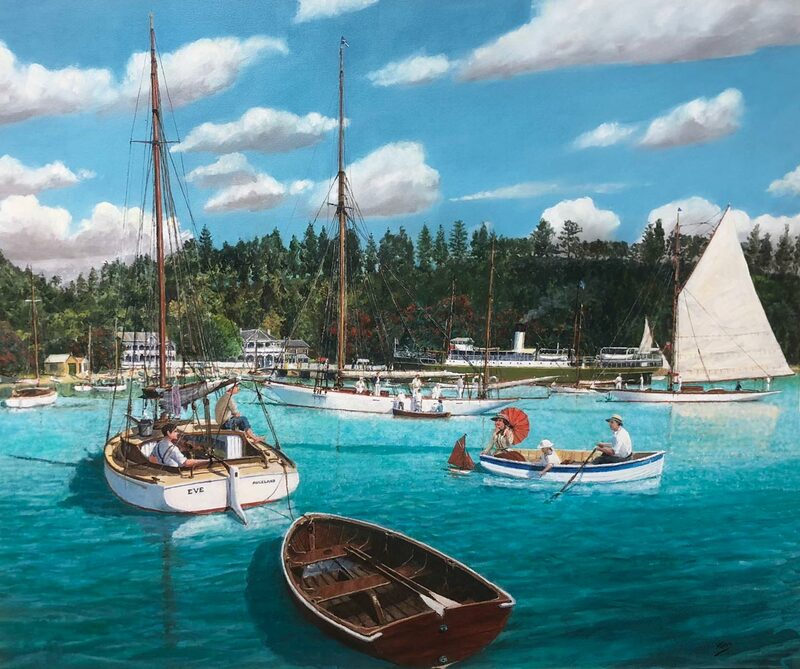 Much of the artist's life has been spent sailing internationally and he has drawn upon these wide experiences to create a consistently high standard of work over many years. Roger is the author of several Bateman published books. Pacific Sail, Sail Change, Tall Ships in NZ and Atlantic Sail.